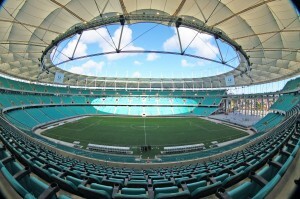 I waited a while to write this post because I thought it was worth waiting to see what the companies had prepared or were preparing to celebrate the victory of Rio de Janeiro to host the 2016 Olympics. But I must confess I am (very) disappointed. One hell of an opportunity for the partners of the Brazilian Olympic Committee (BOC), of the candidacy itself, and why not, the 2007 Pan American Games to boost brand image and sales. However, nothing innovative or impacting has been seen. Olympikus, BOC partner since 1999, made an interesting promotion with opinion leaders, but with little effect, perhaps betting on a viralization that did not happen. 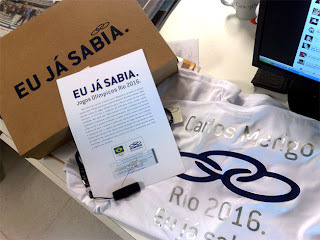 Minutes after the announcement, the company sent these people a kit (image below) with products, a video and a certificate, dated the day before the announcement, confirming that the company “knew” that the victory would go to Rio. The other partners (or not) of the events/institutions mentioned above limited themselves to common advertisements… Too little for such a win and much less when compared to the amazing video (below), created by Fernando Meirelles’ O2, and presented at the International Olympic Committee. Without a doubt, the most creative manifestation in relation to the Brazilian victory was the “Yes, we créu”, which came near the top of the Twitter Trending Topics, of unknown/popular creation. That the Argentine team is not doing well we all know. But Claro, its sponsor, has just released a very interesting video, describing what happens to fans following their team (below). The film, very realistic, uses peculiarities of the Argentine stadiums, such as the human avalanche. However, the video main insight is the use of Claro employees as “actors”, each named in the film. A great way of also involving the company’s staff, generate a sense of unity and further motivate the team. Sometime ago I talked about Nike being more active in the Brazilian football market, but did not say anything about Adidas, which also is. And the two rivals are having a very nice battle with their partnerships with the two biggest rivals in São Paulo’s football: Corinthians and Palmeiras. Adidas, Palmeiras’ partner, launched, together with the teams 3rd uniform, a very interesting film explaining the uniform colours origin (below). Shortly after, Nike did the same with Corinthians, launching a video that shows the process, from the shirt’s creation to the players using it (below). Choosing the best one is a matter of taste of club passion. 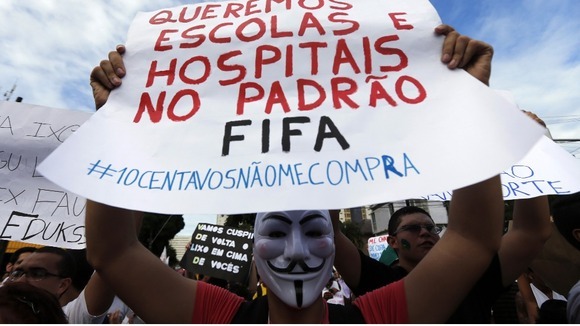 However, this battle is very healthy for Brazilian football, since it shakes the sport and brings more investment. I hope other companies (Reebok, Puma, Lotto, etc.) join them. 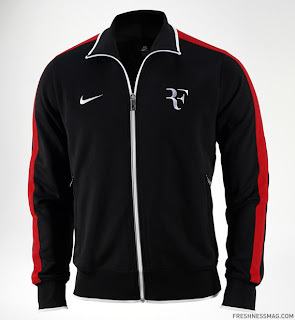 Nike took advantage of the imminent start of the U.S. Tennis Open to launch its new look for the sport (next). In an event with stars of today (Roger Federer, Rafael Nadal and Serena Williams) and the past (John McEnroe) and children from social projects in New York the company stopped the city streets (below) in an activation similar to that Sony Ericsson has made in Toronto. Guaranteed buzz and spontaneous media (below). Taking advantage of the Athletics World Championship in Germany, Adidas released a campaign with 7 major stars of the sport sponsored by the brand (Tyson Gay, Christine Ohuruogu, Allyson Felix, Jeremy Wariner, Veronica Campbell, Haile Gebrselassie e Blanka Vlašić). The company created a series of films in which it compares the achievements of these athletes with daily tasks (see below). Sony Ericsson found a very interesting way to promote the Toronto tournament of the WTA Tour. The company literally stopped the traffic at Yonge Street, one the busiest in Toronto, to promote a match between Ana Ivanovic and Caroline Wozniacki (see below). 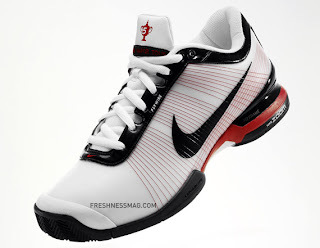 The promotion is indeed very cool and it resembles a classic Nike ad in which Andre Agassi and Pete Sampras play against each other in the streets of New York (below). This Monday it is difficult not to talk about Usain Bolt and what he did on Sunday in the World Athletics Championship in Berlin. He does not really have competitors. 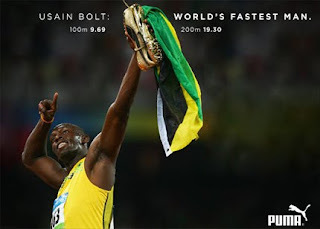 He broke the 100m world record and won the world championship finals with great ease. 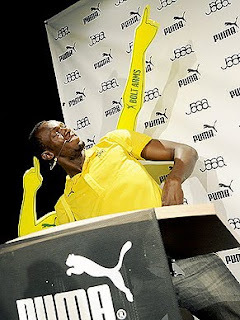 Before that, however, last Thursday, Puma came out with an amazing idea that will surely bring great results. Exploiting once again the gesture the athlete perpetuated at the Beijing 2008 Olympic Games (above, in a Puma wallpaper), the company eternalized it in a foam model (below, in the press conference prior to the World Championship). Making event more with the idea, the company launched a viral campaign (below) in which they “explain” why the foam model was launched: the constant request to repeat the move by everyone. Undoubtedly, the object has the potential to become a hit among the general public and even more with the young audience. Previously, I talked about the partnership between TAM, the biggest Brazilian airline, and the Brazilian National Football Team and how the company is using it to generate content for its on board media and to further consolidate its brand. 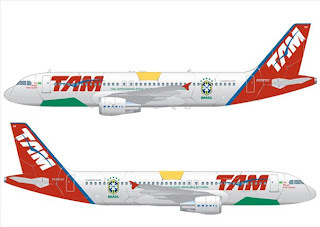 While writing this post, I am on board one of TAM’s planes and I can attest that the work is, indeed, being very well done. I am, at this moment, watching a mini-documentary of the team’s trip’s behind the scenes. There is also an Youtube channel with this content (watch one of the videos below) and a website with more information about the partnership and the various promotions the company uses to activate it. 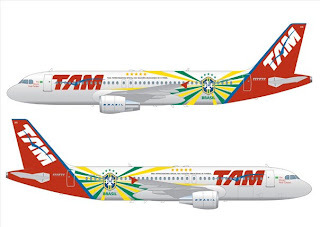 On top of this content, TAM also painted the aircraft that took the team do the Confederations Cup (shown in the video above) and that now operates regular flights with football related themes. A clever way of putting regular people in their idols seats. Increasing the interaction, the company is now conducting a campaign to elect the painting of another aircraft, leaving the decision with its consumers (take a look at the options below and/or click here to vote). 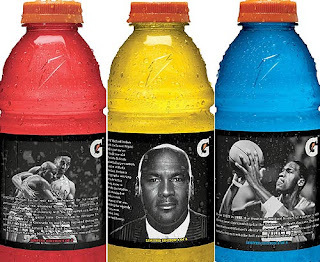 Celebrating Michael Jordan’s induction to the Basketball Hall of Fame, Gatorade, one of his partners, has launched a celebratory range of products with pictures of him on the labels. 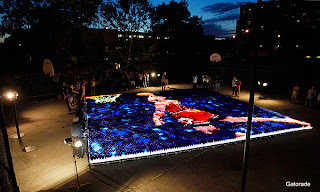 Moreover, to promote this limited edition, a scene of Jordan playing was reproduced using around 19,000 bottles of the drink (picture below, illuminated during the night). Gatorade, intelligently, is still taking advantage of its relationship with of one of the biggest sports and sports marketing icons in the world, using another chance to promote its relationship with Jordan, generate spontaneous media and boost sales. Note: I would like to quote one of MCE Insurance’s executives talking about the company’s British Superbike Championship sponsorship, since it is spot on with my beliefs about sports activation and fits with what I said in the Bridgestone and Formula 1 post: “… we have also launched Club MCE, giving existing and new customers money can’t buy BSB opportunities, such as grid walks, pillion laps and walk the track tutorials with leading riders”.